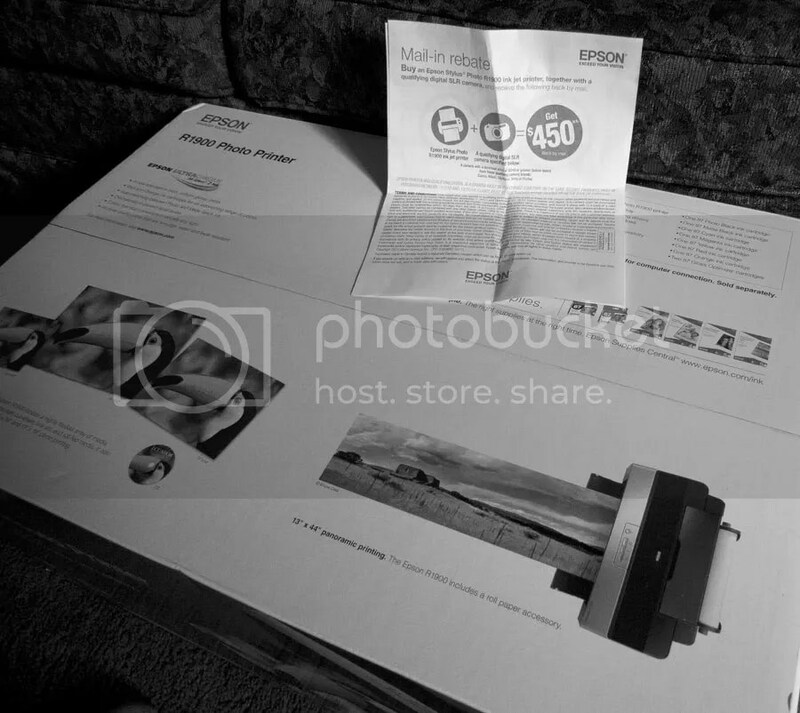 It contained a check from Epson for the amount of US $450, which is the precise amount of the rebate on the Stylus Photo R 1900 that I purchased in December, thus reaffirming my faith in the integrity of multinational corporations. I remember the comments of some of the posters on the original article that I wrote, suggesting that I would not ever receive the money. Well the check is here, and unless it bounces, I have managed to obtain a new, and relatively high-end photo printer for about US$60. Don’t worry, they’ll get me on the ink. This entry was posted in Photography, Uncategorized and tagged A Rebate Tale, Epson, Epson R 1900, Pennsylvania photography, Photography. Bookmark the permalink.